I understand that parents turn to screens for a variety of reasons, and I am not here to judge or shame. If parents choose to utilize screens, research shows that high-quality educational programming can be neutral or helpful. Aim to choose shows which are slow-paced with easy-to-follow narratives. Sesame Street and Mister Rogers are safe places to start for older preschoolers. There are some proven strategies for selecting appropriate shows. As Janet explains in the podcast, Magda Gerber advised delaying screens until age 6 and closely monitoring thereafter. In the decades since she expressed those views, an abundance of research has been done on screens and young children. What does it show? Well, it largely confirms Magda’s caution in delaying screens. Here are some interesting studies that demonstrate the value in delaying screens during your child’s early life. Can a DVD or Television Program Teach language? To a baby? No. In one study, 72 infants between the ages of 12- to 18-months were randomly assigned to four conditions: watching the video (5x per week for 4 weeks) while interacting with their parents; watching the video (5x per week for 4 weeks) without interacting with their parents; giving parents the list of target words the video attempted to teach and telling the parents to attempt to teach their babies the words in any way which seemed natural to them; and the control group;1 The researchers conducted pre- and post-tests of the target words by asking the baby to point to the correct object when they named a target word (two objects were presented). This study is highly regarded because it was particularly well-designed. The infant participants viewed the videos at least 20 times. If there was any learning that could occur by viewing baby videos, it should have been readily apparent. However, the results indicate that only the infants in the parent-teaching group performed above chance. The researchers summarize this result saying, “Children who had extensive exposure to a popular infant video over a full month, either with a parent or alone, did not learn any more new words than did children with no exposure to the video at all.” Can language suffer from television or DVDs? 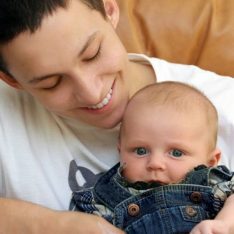 In a correlational study, researchers found that for every hour of baby media infants between 8 and 16-months viewed (per parent report), they knew 6 to 8 fewer words.2 While parent-reports may be less standardized than other measures, it is of particular interest given that parents who show their children baby media to do so in an attempt to help them. Survey studies find that parents tend to believe baby videos are improving their children’s vocabulary, so the fact that a significant difference in word knowledge was found via parent report is rather telling. Longitudinal research demonstrated a link between television viewing at ages 1 and 3 and attentional problems at age 7.3 In that particular study, which included a nationally representative sample of 1,278 children, the average one-year-old watched an average of 2.2 hours of television, and the average three-year-old watched an average of 3.6 hour of television per week. Each hour of television viewed was associated with a 10% increase in the risk for attention problems when the child enters school. An experimental study demonstrated that after viewing just 9 minutes of a fast-paced “entertainment” children’s show, children performed worse on a task which required executive control.4 The children were four-year-olds, and the entertainment show was Sponge Bob Square Pants. Executive control is the ability to suppress impulses and maintain sustained attention, among other things. The children who viewed the “entertainment” show exhibited executive functioning impairment compared to children who viewed an “educational” program and those who completed a drawing task. The association between children’s sleep and screen time is well-documented and clear. A review of over 67 studies demonstrates that screen time is negatively associated with sleep outcomes.5 Screen time is associated with two problematic sleep outcomes: going to bed later, and sleeping less overall. The research on the link between sedentary screen time and extra weight gain is well-documented. A longitudinal study of more than 7,000 U.S. children found that the more TV children viewed, the more likely they were to gain excessive weight between Kindergarten and Grade 5.6 In a longitudinal study of 1,037 participants, TV viewing in childhood predicted excess weight into adulthood.7 Interestingly, in this study, television viewing during childhood was a stronger predictor of adult Body Mass Index (BMI) than adult television viewing. The researchers suggest that efforts to reduce adult obesity need to start with childhood screen time habits. More than 50 years of research involving over 300 studies demonstrates that watching TV violence makes kids more aggressive.8 The research on this is really quite good. They haven’t just studied what children naturally watch. They have also done experimental studies and found that children who are not usually aggressive become aggressive. The American Academy of Pediatrics (AAP) made a point to highlight that the research base includes a variety of methodologies and large-scale meta-analyses. The take-home: There is a “proven scientific connection between virtual violence and real-world aggression.” The AAP appropriately defines “aggression” as an act in which the intent is to harm the other person, either emotionally or physically. These findings are concerning when we consider the violence that is portrayed in children’s programming. The AAP policy statement highlights some disturbing (although not necessarily) shocking statistics about virtual violence. In an analysis done in the year 2000, all G-rated films contained violence, as did 60% of prime time television shows. Based on a study conducted in 1998 focused solely on television, it is estimated that the average child would view 8000 murders and 100,000 other acts of violence by middle school. Young children learn problem-solving and emotional regulation by experiencing and working through tough emotions. The presence of a screen during a melt-down could interrupt those learning processes. Correlational research suggests that use of screens to calm a child and social-emotional difficulties are significantly associated with one another.9 This research cannot tell us which came first: either parents of children with social-emotional difficulties may be more likely to turn to a screen to help with the behavior; or, the use of the screen may encourage social-emotional difficulties by not allowing the child to learn to cope with emotions and develop the skills necessary for regulation. Researchers sought to determine how helpful a segment of Clifford the Big Red Dog could be on children’s understanding of the importance of a complex topic: inclusion and acceptance of differences.10 The episode depicted a three-legged dog. The characters were initially fearful of the dog and excluded it. This went on for some time until the end of the segment when they learned the importance of being friends. However, the research suggested that the kids could come away from the show with the opposite message: to exclude and be fearful of differences. The authors note “the negative emotional content can over-ride other, more positive elements within a given episode,” making it more difficult for kids to understand the moral or take-home message that the episode is supposedly promoting. Some shows for young children attempt to teach children valuable social lessons, such as the importance of honesty. But your child will likely learn social lessons better from you. 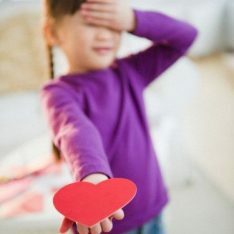 One study found that children sometimes come away with the opposite “lesson,” thinking a solution is to lie as opposed to tell the truth. In the study, children were more like to remember the conflict or struggle over lying, but not the solution.11 Because children cannot consistently understand the difference between fantasy and reality until after age 6, the conflict may be more salient to them. It is like a threat and their brain directs more resources towards it, making it likely that they will remember that conflict. Much older research from 1978 had previously found that when prosocial content is mixed with violence or conflict, children focused on the antisocial components like violence more than outcomes or messages associated with the violence.12 A meta-analysis of previous studies found that when children were shown prosocial content with violence or conflict, there was an association with negative behavioral outcomes.13 The take-home: When there is scary, threatening or violent conflict, that is what children pay attention to and remember, often at the expense of remembering the consequences or solutions. Taken as a whole, it would appear best to delay screens as Magda Gerber suggests. Join us at Screen-Free Parenting for motivation to delay and limit screens, articles on raising tech-wise children, and inspiration for tons of screen-free fun. Dr. Meghan Owenz is a psychologist, writer and a university psychology instructor. She has her Doctorate in Counseling Psychology from the University of Miami and Master’s in Clinical Psychology from Pepperdine University. She is happily raising her two kids sans screens. She runs the website, Screen-Free Parenting, where she writes about tech-wise parenting and provides tons of screen-free activities. She has developed a psychologically-based system to help organize the activities young children learn and grow from: the S.P.O.I.L. system. Before you turn on the screen, she asks, “Have you S.P.O.I.L.-ed your child today? 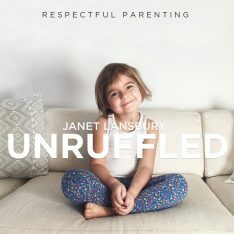 You can follow Screen-Free Parenting via her website newsletter or on Facebook, Pinterest and Twitter. Christakis, D. A., Zimmerman, F. J., DiGiuseppe, D. L., & McCarty, C. A. (2004). Early television exposure and subsequent attentional problems in children. Pediatrics, 113(4), 708-713. Bushman, B. J. & Huesmann, L. R. (2006). Short-term and long-term effects of violent media on aggression in children and adults. Archives of Pediatric Adolescent Medicine, 160 (4) 348-352. Radesky, J. S., Peacock-Chambers, E., & Zuckerman, B. (2016). Use of mobile technology to calm upset -children: Associations with social-emotional development. JAMA Pediatrics, 170 (4), 397-399. Mares, M., & Woodard, E. H. (2007). 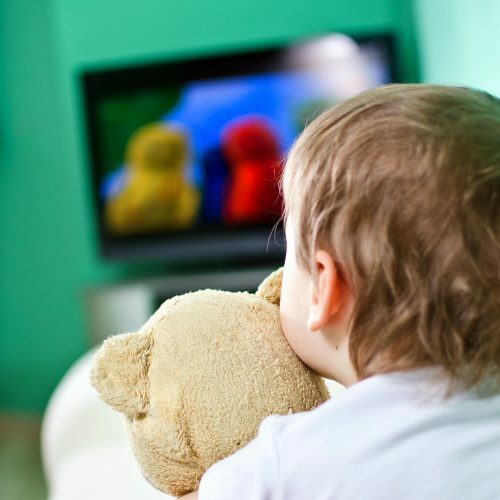 Positive Effects of Television on Children’s Social Interaction: A Meta-Analysis. In R. W. Preiss, B. M. Gayle, N. Burrell, M. Allen, J. Bryant, R. W. Preiss, … J. Bryant (Eds.) , Mass media effects research: Advances through meta-analysis (pp. 281-300). Mahwah, NJ, US: Lawrence Erlbaum Associates Publishers. I know there are so many approaches to screen time, and many parents may choose to avoid it completely for as long as possible, exactly because they are informed of the research. My husband and I feel that including some screen time in this way keeps it from becoming an elusive, forbidden fruit, sets an example for how we can use technology well and in moderation, and mitigates the risks mentioned. Love those guidelines! I think they are great and slowly introducing your little one to the positives of screen-time. Here’s what we did; when our first child was born, we got rid of our television. Put it out on the street. We haven’t missed it at all, and our kids have never known any other way of living. At night time- they read, or we take turns reading to each other. Sometimes they’ll ask about a show their peers are watching, so we may rent it on the computer for the weekend- the only time they get a little screen time. If we need news we have the radio, computers, and all our online subscriptions. we have a peaceful home, we have smart well read kids, and we have no advertising showing our daughter how she ‘should’ look, or showing our son how boys ‘should’ behave. we have no cable bill! we have more time with each other, for better or worse, and our stress levels have been reduced. Give it a try for a few months, it’s the way humans lived for thousands of years, and it just feels right. I so agree Eric! I love that gender stereotypes and commercialism don’t have free access to my kids. That’s a huge bonus of being screen-free. And, you’re right, it just feels easier. When I trained in Montessori more than 25 years ago, we learned that the act of putting the pixels together in your mind to form the image actually moved your mind toward a sleep state and that this, also, was not conducive to learning. With a newborn, a three year old and my husband being away on business for a week plus all of us being sick, and no family around, I’m afraid (carefully selected) TV has been life saver. So love this article! I’ve been trying to gather information as I happen across and just feel so happy to see that you’ve saved so much work for me by sharing your gathered studies here! My husband and I also agree with Amy’s statement about forbidden fruit. To counter the negative effects regarding content, I also felt that there should be a list of ‘acceptable’ videos and have been asked a few times to share mine, so finally put it here. We still operate by the no media under age 2. With a cumulation of < 2 hours of video a week. I wrote a couple of papers on this in college after learning about limiting screen time while nannying. I’ve been given a hard time about it but would rather that than have it negatively impact my daughter. I do have a question though! Is phone screen exposure the same? We do not let her play games or watch anything on our phones but do Facetime family. She loves seeing them but I am wondering if we should stop or limit her seeing them on the screen. The article is very informative. Thanks for sharing the facts and details. I really love this article, and love your Podcasts. They are very informative and helpful. Although I do not have kids of my own yet, I do plan on having kids in the future. Hopefully. I am a totally blind person, and I’m looking for advice on how to deal with kids as a totally blind person do you have any advice on that?